1. Mix the turmeric powder with the gram flour. To this, add enough milk or water to form a paste. 3. Leave it on for 15 to 20 minutes. Rinse with plain water. 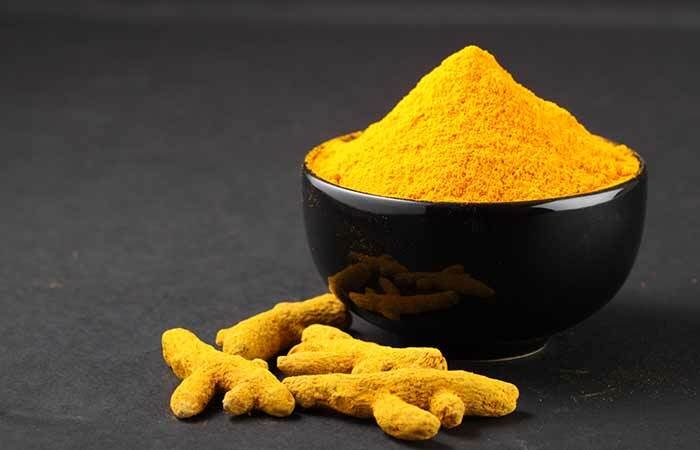 Turmeric contains cucurmin, which has strong antioxidant and anti-inflammatory properties. It will eliminate the harmful free radicals that are damaging the skin. It also enhances collagen production, and this keeps your skin supple and glowing (1). Gram flour gently cleanses the skin to make it clean and bright (2). This remedy works best for dry and dull skin. 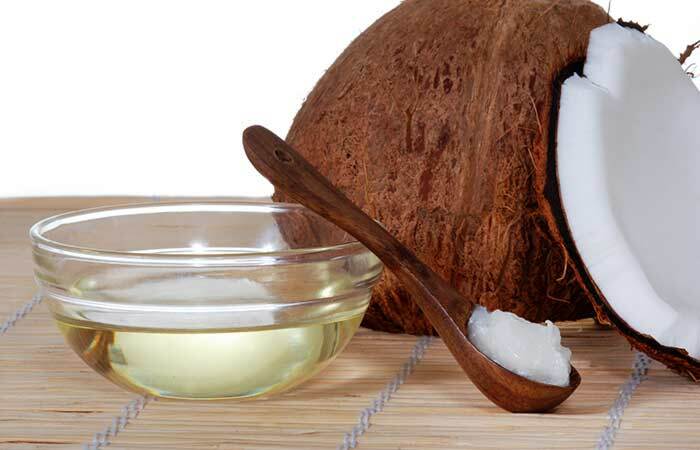 Coconut oil locks the moisture in the skin and also nourishes it with essential fatty acids. Its phenolic compounds contribute to its antioxidant activity and give you glowing skin (3). 1. Mix all the ingredients. Apply this mixture on the face and neck evenly. 2. Leave it on for about 20 minutes. 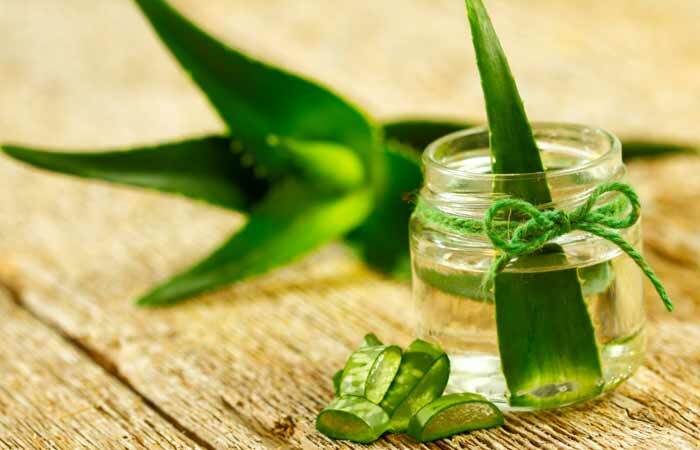 Aloe vera gel is the ultimate solution for skin problems. Its nourishing and healing properties rejuvenate the skin to give it a natural glow (4). 2. Apply the mixture on damp face and neck using circular motions. 4. Rinse with cool water and pat dry. Moisturize as usual. Apply this face pack once a week. 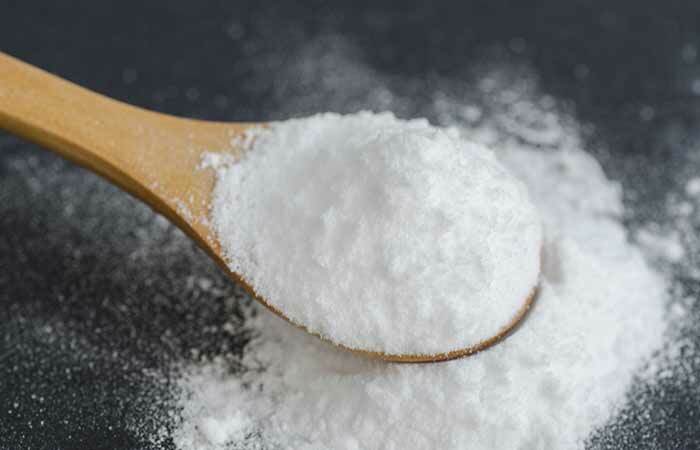 Baking soda exfoliates dead skin cells and also neutralizes the skin’s pH. It soothes the skin and heals any inflammation that may be present as well (5, 6). 1. Mix the ingredients and apply the mixture on your face. 2. Scrub in a circular motion and leave it on for 10 minutes. 3. Rinse off with warm water to reveal glowing skin. The sugar granules help to get rid of dead cells. 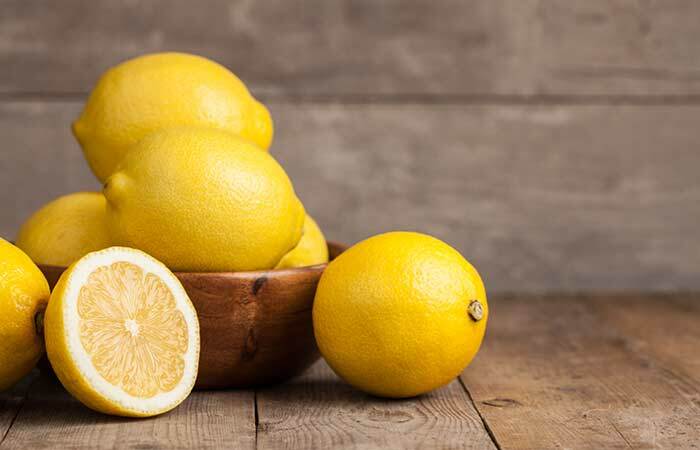 Lemon cleanses, bleaches, and also removes tan (7, 8). It is one of nature’s best skin brightening agents. 2. Add the sandalwood powder or Fuller’s earth and honey to it. 3. Mix all of them to get a paste-like consistency. 4. Apply it all over your face and neck. 5. Keep it on for 20 minutes and then rinse with cool water. 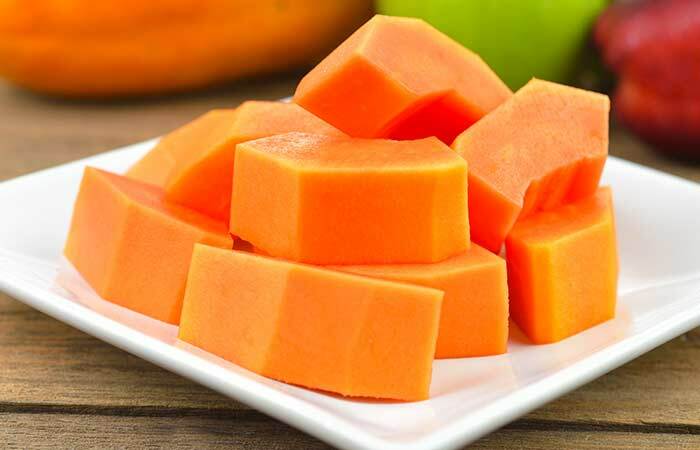 Ripe papaya contains papain, an enzyme that acts as a mild exfoliator. This gently removes the top layer of dead cells on the face and makes your skin radiant and younger looking. It also clears the dirt and oil that can lead to acne and breakouts on the face (9). Multani mitti absorbs the excess oil from the skin and makes it soft and supple (10). Honey is a natural moisturizer and will hydrate the skin. It also reduces the blemishes on the skin (11). This pack acts as a skin firming and anti-aging face pack. 1. Grate the cucumber and add the yogurt to it. Beat it properly. 2. Apply it on your face and neck. 3. Leave it on for five minutes until it dries and wash it off with cold water. Repeat this once in every three to four days. Cucumber is cooling for the skin. It replenishes and rejuvenates dull skin with its antioxidants. It also improves complexion and reduces swelling (12). 1. Apply honey evenly on clean and damp skin. 2. Massage it for a few minutes and leave it on for another five minutes. 3. Wash the honey off with lukewarm water. Apply honey every alternate day. 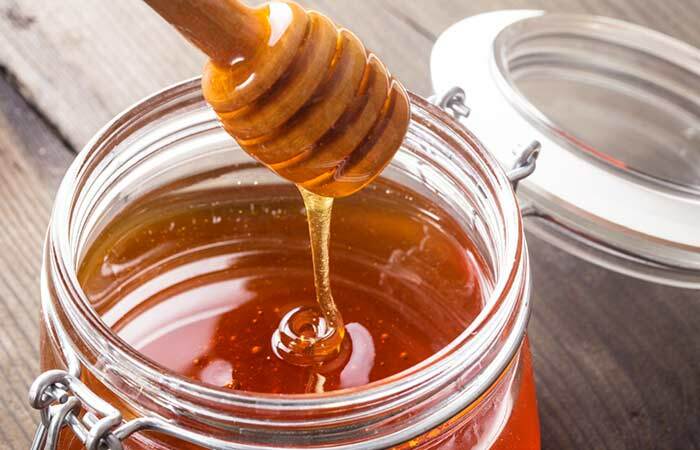 Honey has antimicrobial and hygroscopic properties that clean and make your skin soft. It is rich in antioxidants that make the skin soft and healthy and also reduce blemishes (11). 1. Grind the lentils, rice, and almonds either separately or together. 2. To this powdered mixture, add the oatmeal and turmeric powder. 3. Mix well and add enough water or rose water to make a smooth paste. 4. Apply this paste evenly on the face and neck. You can also apply this pack all over the body. 5. Let the pack dry. Then, wash with normal water. Use this ubtan once in 7-10 days. Ubtan is basically a face pack recipe for healthy and glowing skin that has been passed down the generations. The coarseness of the lentils, rice, and oatmeal will remove dirt and dead cells from the skin (13, 14). 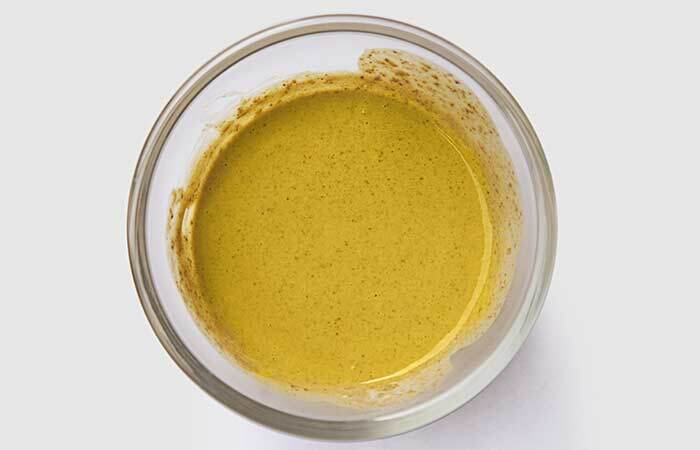 Turmeric, as we know, will fade out blemishes and give the skin a natural glow. Almonds also nourish the skin with essential oils to keep it hydrated (15). 1. Take a few drops of oil on your fingertips, and apply it all over the face and neck. 2. Massage in upward circles for two to three minutes, especially on your cheeks, nose, and forehead. 3. Dip the towel in the warm water, remove the excess water, and place this on the face for 30 to 40 seconds. 4. Dip the towel again in the warm water and gently wipe away the oil with it. 5. Pat your skin dry with a paper towel if required. 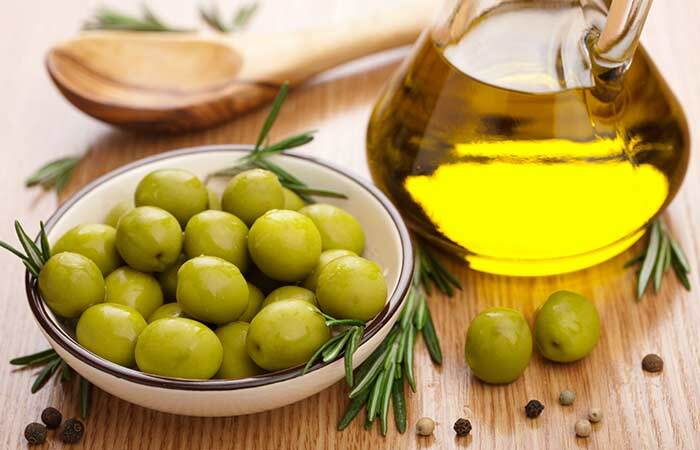 Olive oil is an excellent skin moisturizer and renders a natural shine as well. The flavonoids and polyphenols present in it protect the skin from free radicals and prevent damage. It repairs the skin cells and makes it healthy and glowing (16, 17). 1. Boil the tea leaves in water. When they impart color, remove from the flame. Cool it and add two teaspoons from it in a bowl. 2. To this, add the brown sugar and cream, and mix well. 3. Apply all over the face and scrub gently in circular motions. 4. Rinse with cold water after 10 minutes. 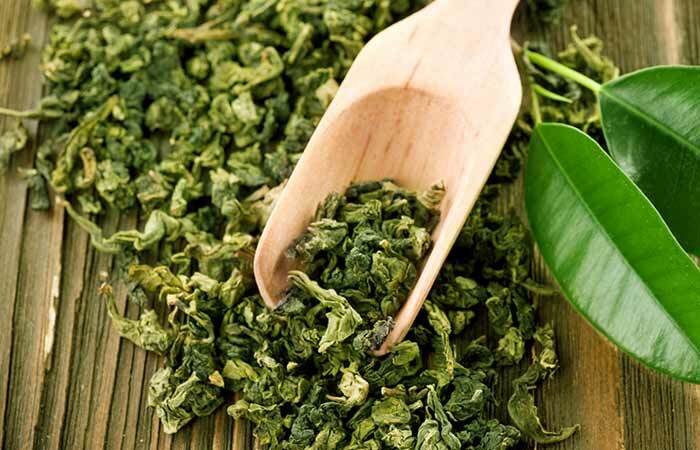 Green tea leaves are rich in flavonoids, which maintain the collagen production in the skin. It maintains the elasticity of the skin, makes your skin glow, and reverses the signs of aging (18). 1. Prick open the liver oil capsules and apply the oil present inside on the face and neck. 2. Massage it for a minute or two. Leave it on for about 10 minutes. 3. Rinse with water. You can also use a mild cleanser. Apply cod liver oil once every day. 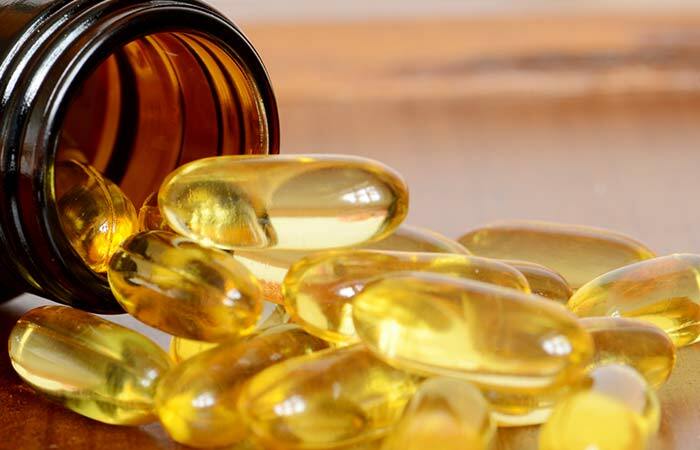 Cod liver oil is rich in omega-3 fatty acids, vitamins A and D, EPA, and DHA. These nourish the skin, repair damaged cells, and give the face a radiant glow (19). 1. Keep the rose water in the fridge for half an hour. 2. Dip the cotton ball in the rose water and apply it all over the face and neck. Rose water is a commonly used skin toner. It cleanses and refreshes the skin. It brightens the skin tone by stimulating blood circulation. It also balances the pH of the skin (20). 1. Cut the ginger and carrot into pieces and extract their juice. 2. Add some water to dilute the juice to the required consistency. 3. Drink this juice, preferably in the mornings. 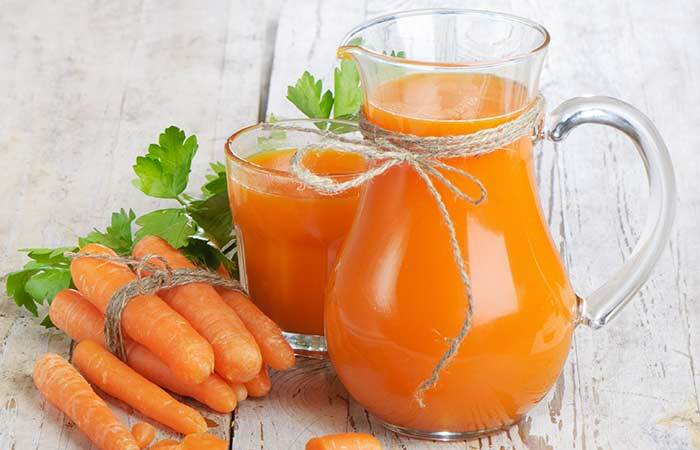 Drink carrot juice every alternate day. The antioxidants present in carrots will cleanse the body of free radicals, and this will start reflecting on your skin. Carrots are rich in beta-carotene and vitamin A, which will not only improve the skin’s texture and health but also improve your eyesight (21). 1. Peel the bitter gourd and remove its seeds. Wash it thoroughly under water. 2. Cut into small pieces and blend it with the lemon juice. 3. Add salt and black pepper, and give it a last whirl. Drink karela or bitter gourd juice once every day or every alternate day. 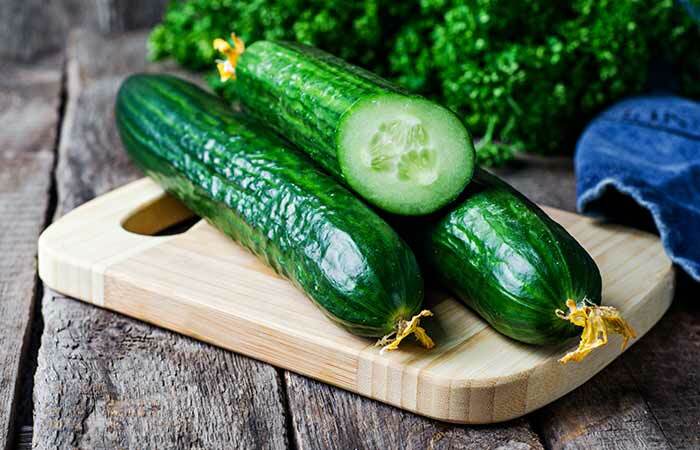 Bitter gourd improves digestion and also eliminates all infections. It purifies the blood, making your skin glow from within (22, 23). Juice the oranges and add salt and black pepper to taste before drinking it. Drink a glass of orange juice every day. 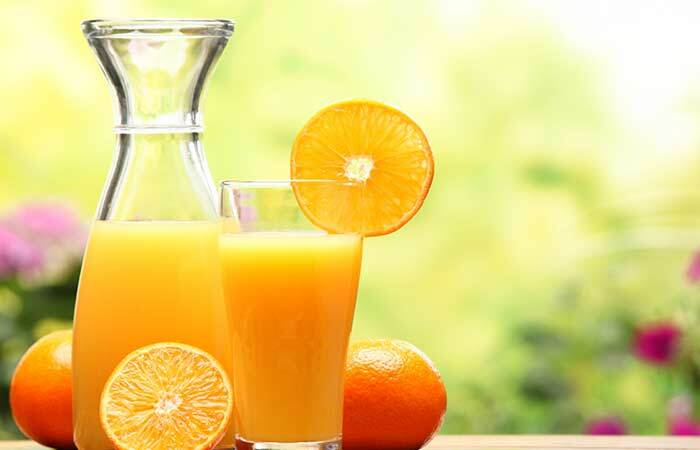 Orange juice detoxifies the body. Its vitamin C content clears your complexion, giving you glowing skin in no time (24). 1. Soak the saffron strands in the honey for a couple of minutes. 2. Apply this honey on the face and neck. 3. Rinse after 10 minutes. Apply saffron-infused honey three to four times in a week. 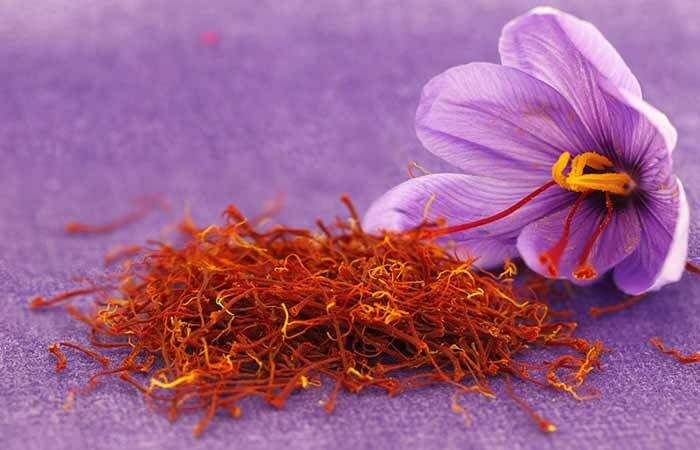 Saffron has been used since ancient times to maintain clear and naturally glowing skin. Its antioxidants keep the skin healthy and it also protects the skin from sun damage (25, 26). 1. Mix all the ingredients to form a homogenous paste. 2. Apply all over the face and leave it on for 20 minutes. Allow the pack to dry. This is an age-old formula for healthy and radiant skin. Many legends say that Cleopatra’s beauty routine always incorporated honey and milk. 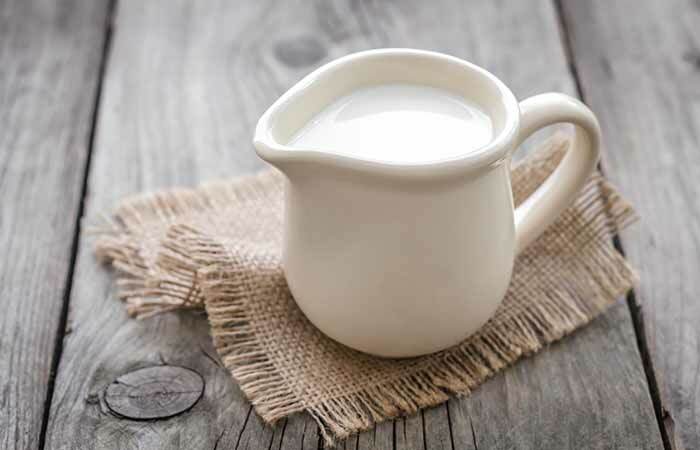 Raw milk contains skin-friendly ingredients such as saturated fat, protein, calcium, and vitamin C (27). Honey is also known for its moisturizing and antibacterial properties. 1. Mash the banana in the milk and apply it on the face and neck. 3. Rinse with water. Rub an ice cube all over the area for a few seconds. Apply banana on your face once or twice a week. 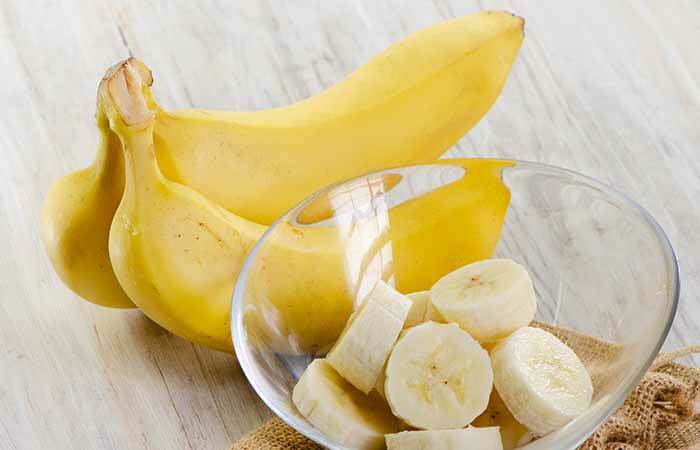 Vitamins A, B, C, and E, and minerals such as potassium nourish and hydrate the skin. They make the skin soft and glowing and also lighten blemishes (28). 1. Grind the orange peel with the rose water to form a paste. 2. Apply all over the face and leave it for 15 minutes. 3. Rinse it off with cool water. Repeat this once every few days. 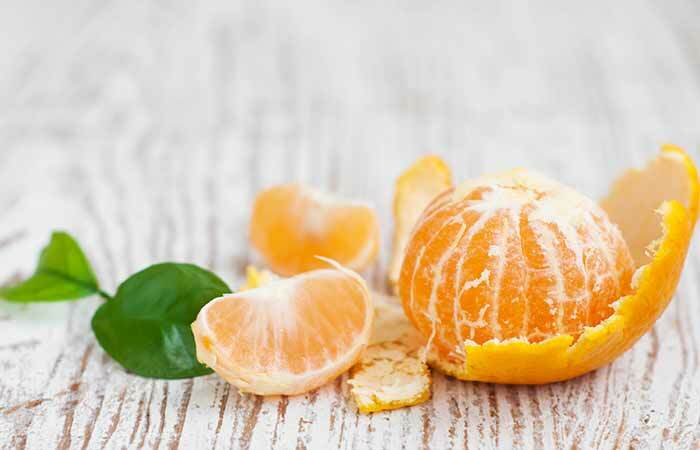 Orange contains large amounts of citric acid and vitamin C, which refresh the skin and relieve acne. It also firms the skin and gives it a natural glow (29). Blend all the ingredients and drink this juice. 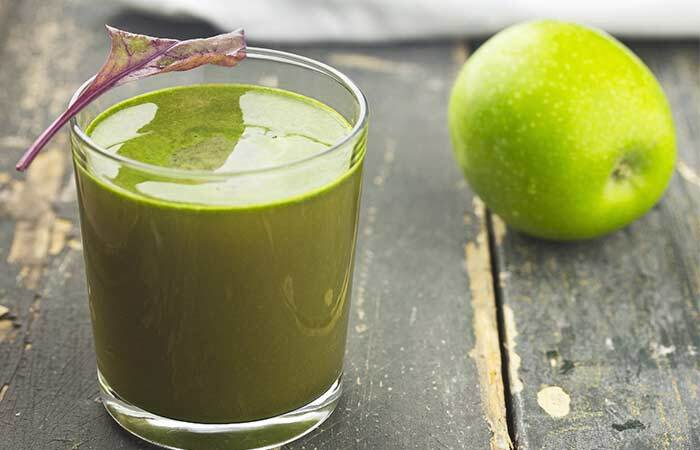 Drink this healthy green smoothie a few times in a week. 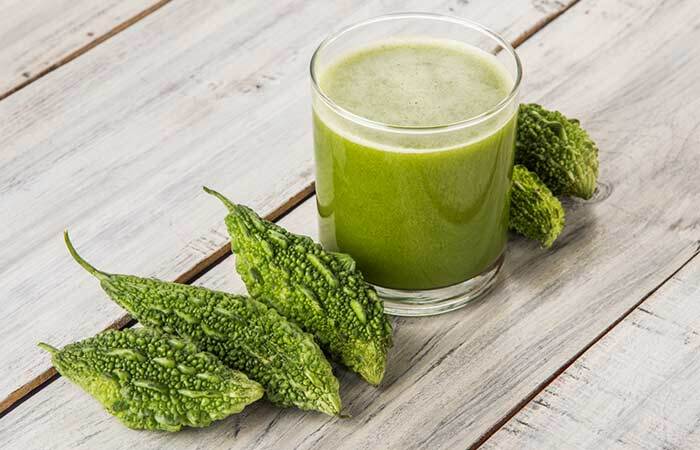 This green juice contains a plethora of essential vitamins and minerals that will maintain the health of your skin from the inside and make it glowing and soft. These inexpensive remedies work miracles as compared to expensive cosmetics that have several side effects. You can now have glowing skin without worrying about some other skin troubles cropping up. What Vitamins Help Your Skin Glow? The first and most important thing to maintain a healthy skin is to look beautiful from the inside. A healthy body will lead to a healthy mind and skin. Vitamin A rejuvenates the skin and also helps fight wrinkles (30). Vitamin C facilitates collagen production and cell regeneration. This will help your skin absorb the benefits of the essential ingredients of the moisturizer you apply. It will also protect your skin from the inside by protecting against sunburn and tanning (31). Vitamin E makes our skin soft, silky, and supple (32). Massaging the skin using oils or creams stimulates blood flow to the surface (33). This, in turn, helps in replenishing the skin cells. Also, essential nutrients required by the skin are supplied to it by the blood. Regular massage in upward circular motions will ensure a healthy and glowing skin in the long run. Yoga is a natural way to keep your body and mind healthy. Practice some inverted poses such as the Downward Dog Pose and the Lion Face. It is believed that they help control aging and maintain a healthy glow by stimulating circulation and relaxing your muscles. However, be very careful while doing these poses, especially if you are new to yoga. Make sure you learn them from a certified instructor. You can also indulge in regular brisk exercises like walking, jogging, dancing, yoga, cycling, and boxing. When you exercise, your body receives a lot of oxygen while you breathe heavily. Oxygen fights the formation of free radicals, which lead to premature aging and dull skin. It makes your body fit and healthy and adds a glow to your face. When you sweat while exercising, you burn off the extra calories. It also improves blood circulation and digestion and gives you a healthy glow. Does Drinking A Lot Of Water Make Your Skin Glow? It is very important that you drink 10-12 glasses of water daily as it helps to flush the toxins out of your system. The skin needs to receive enough water to be hydrated, soft, and supple. Without enough water, it becomes dull, dry, and might even start to tear. A proper cleansing routine helps to get rid of the dirt that gets settled on your skin during the day. Always use a cleanser/face wash suitable for your skin type instead of soap. Soap contains harsh chemicals like sodium carbonate, which makes your skin dry by stripping off the moisture from your skin. This should happen right after the cleansing step. Use a mild scrubbing product for your face depending on your skin type. Use a mild one if you have pimple-prone skin; scrubbing on a rash or a sensitive area can cause more breakouts. Exfoliate at least twice a week. Do not forget to follow it up with toning and moisturizing. Skin that is not exfoliated gathers up to 10 times more weight with clogged pores and dead skin cells. A good scrub will remove the top layer of dead skin cells, encouraging the production of new, healthy cells. It also improves blood circulation and lightens the skin, making it soft, smooth, and youthful. Always use a good sunscreen with SPF (sun protection factor) whenever you step outdoors. Not only in summers, it’s important that you use a sunscreen in winters too. A good sunscreen protects your skin from the harmful UVA and UVB rays. 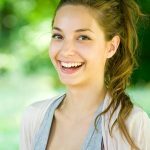 After the age of 30, it is necessary that you pay attention to certain special areas like the neck, eyes, and hands, which show early signs of aging. 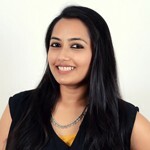 The skin around the neck and hands becomes loose gradually, and we can observe dark circles and puffiness under the eyes. These are the initial signs of skin aging. Be a little skin conscious and don’t get lured by the fabulous advertisements you see. The next time you purchase a sunscreen or a lotion, or any other skin care product, try reading the list of active ingredients. Select the ones containing natural oils like olive oils, eucalyptus oil, tea tree oil or similar things. Stay away from the ones which contain chemicals (toxic chemicals in fact) like sulfate, parabens, etc. Do not use cosmetics products, creams, tools, etc. that are very old. Always check the expiry date before buying and using the product. Try not to share your personal cosmetics with others as it contaminates it and makes it unsafe for personal use. Do not forget to remove any traces of makeup from your face before going to bed. Sleeping with makeup will clog your pores, leading to pimples and breakouts. It will also make your skin look dull and lifeless. You should use an alcohol-free cleanser for makeup removal. 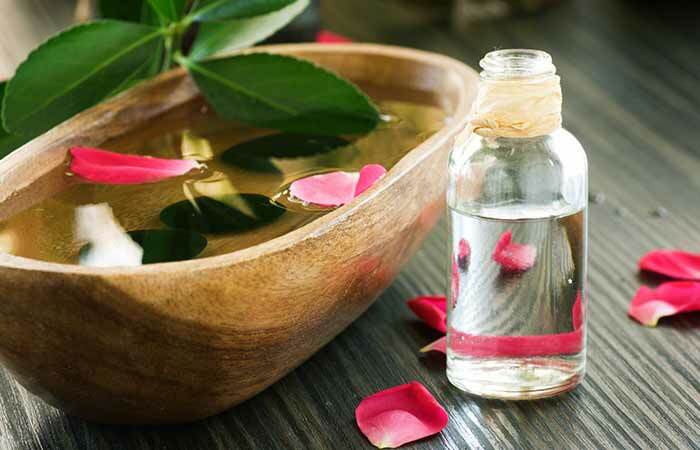 Rose water can also be used as it is a natural toner. While we sleep, our body repairs the damaged cells and replenishes the old ones. Hence, our body requires at least eight hours of sleep daily. This will give a healthy and glowing skin and refresh your mind as well. If glowing skin is what you desire, keep your addictions away. Smoking tobacco, drugs, and drinking alcohol can lead to serious health as well as skin problems. They are responsible for premature aging, fine lines, and wrinkles. Keep a proper check on what you eat. You should strictly avoid junk, processed, and deeply fried food as they lead to several skin problems like pimples, acne, blackheads, premature aging, breakouts, etc. Adopt a balanced diet that should include lots of fresh fruits, green leafy vegetables, cereals, and nuts. Include the food items and healthy juices mentioned above. These will give you a healthy, youthful, and glowing skin. Every woman is born with beautiful skin and it is up to us to take care of it properly. After you follow these mantras and use these remedies, your face is bound to have that extra glow and charm. Hope the article was helpful. Let us know if we missed something in the comments below. We will try to get them included in the list right away. Which one of these homemade recipes for glowing fair skin are you going to try?